Marshal Guebriant marched to attack the Imperial general Lamboi in his camp at Hulst. 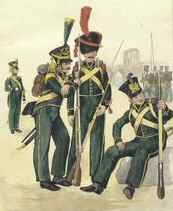 Lamboi took several regiments, and went to meet the French and Hessian infantry that was about to climb the barricades and breastworks of the camp. 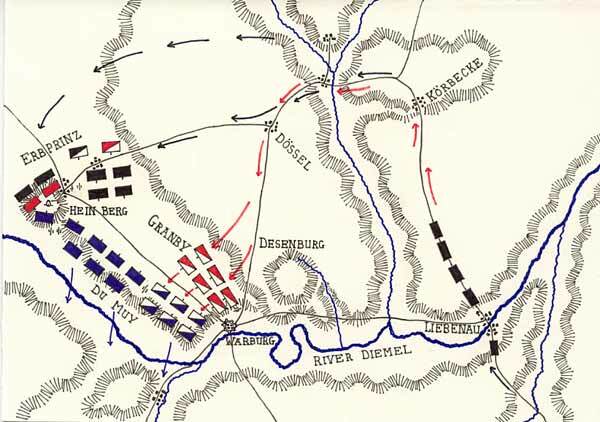 General Dewbadel pushed back the French left wing, but meanwhile the right wing of the French army had entered the camp. The imperial cavalry was attacked from all sides and thrown back, so that they could no longer support their infantry. Guebriant seized the enemy's artillery, and fired it at the Imperial Infantry. After a two- hour battle, the victory went to the French and Hessians. Guebriant captured all the artillery and baggage of his opponents, as well as flags and many prisoners. The French lost 150 wounded and 380 killed. 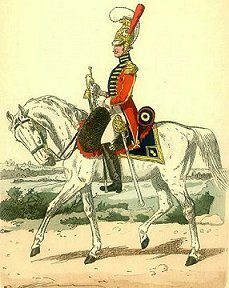 Notable for a successful attack by resolute British infantry units on French cavalry lines. On 14th June Turenne was at the Phillipsburg fortress-bridge with 3500 infantry and 5500 cavalry He crossed the Rhine, and marched with his army against the Duke of Lothringen (Lorraine), whose troops were moving to Heidelberg to await the arrival of the Duke of Bourneville. When told of this movement, the Duke of Lorraine turned with his army, which consisted of 7000 infantry and 1200 cavalry, towards Geppingen in the mountains. When the French arrived at the village of Mayrhofen, the last imperial troops were arriving at Sinzheim, where they took post on the heights beyond this small town. The river Elsen separated the two opponents. 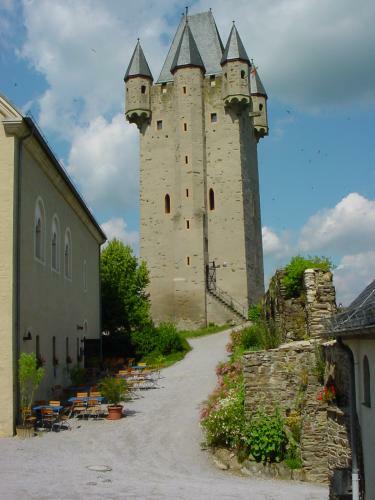 Before the Imperials could be attacked, the French had to defeat the 1600 defenders of Sinzheim town. 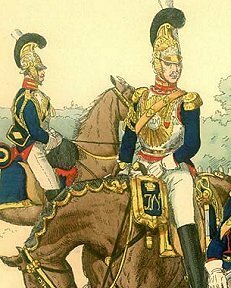 Turenne then skilfully negotiated a large ravine, by first posting his infantry either side and then hurrying his cavalry though, in order to move up to confront the Imperial position on the heights. During the battle on the ground, such dust arose as to make it difficult to distinguish friends from enemies. Turenne took advantage of this interval to extend his line right, giving him a larger front and permitting more troops to move up through the ravine. When battle recommenced, the French right wing was thrown into confusion, and the Imperialists were at this point held back only by the well-drilled fire of infantry. During the night of the 16th to the 17th Duke of Lorraine withdrew to between Heilbronn and the Neckar river. The Imperial loss was 2000, to 1100 French. 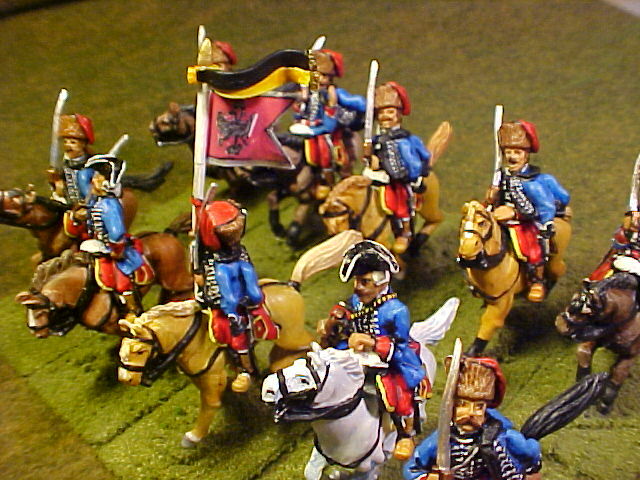 Turenne's corps was however too weak to follow up his victory, and soon enough found itself back in Philippsburg again. A victory for the Imperial Army under the command of Field Marshal Melchior von Hatzfeldt over Charles Louis the Elector Palatine with English Swedish and German troops, but only after Prince Rupert had pulled off a dashing Swedish style charge up a valley. The battle of Pfeddersheim crushed the widespread Peasants Revolt of 1525, which was linked to the early Reformers. Friedrich the Victorious of the Palatinate 1425- 1476 was a Prince Elector of the Holy Roman Empire and a renowned military strategist who defeated and captured three opposing major Rhenish potentates at the battle of Seckenheim in 1462. This is a well illustrated book covering the reign of an interesting German Prince Elector of the Holy Roman Empire and renowned military strategist. This 1993 book combines history with description of the main military events and heraldry of the period. 52 page volume. A5 and card bound. ¿£7.50 each. ¿Battles of Pfeddersheim and Seckenheim. ¿Freidrich's military career. ¿Notes on the art of war in the period. ¿24 full colour heraldic flags and biographies. ¿4 maps and 2 pages of colour. ¿Glossary of German terms. ¿Bibliography. Zülpich is a town in North Rhine-Westphalia, Germany between Aachen and Bonn. It belongs to the district Euskirchen. The town is commonly agreed to be the site with the Latin name of Tolbiacum, famous for the Battle of Tolbiac, fought between the Franks under Clovis I and the Alamanni; the traditional date is 496, corrected in many modern accounts to 506. The battle is commemorated in the names of the Rue Tolbiac and the Tolbiac metro station in Paris. a local Rhenish power struggle disguised in the religious clothing of the Reformation. Led to the partial destruction of the famous castle of Godesberg by explosion - though the castle is still worth visiting.